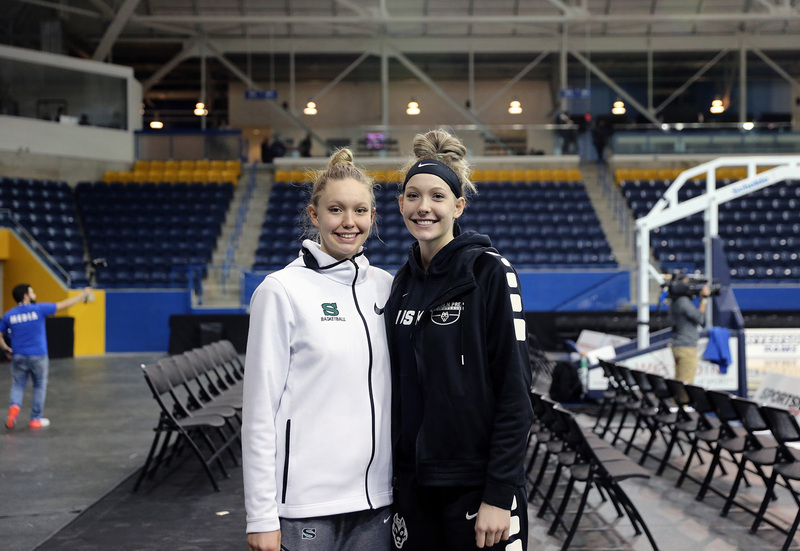 Summer (left) of University of Saskatchewan, and Brynn Masikewich (right) of Lincoln Prep, at Mattamy Athletic Centre in Toronto during the 2019 U Sports National Championships and OSBA Playoffs. Photo by Trung Ho. Brynn Masikewich is animate as we walk through the café of Mattamy Athletic Centre in downtown Toronto, demonstrating a game-winning jumper she just sank for her high school basketball team, Lincoln Prep Huskies. The shot, which Brynn fired off from the free throw line with 6.4 seconds left in the game, helped her team advance to the semi-finals over Bill Crothers Secondary School not more than half an hour before in the Ontario Scholastic Basketball Association (OSBA) Playoffs. Heading up the escalators, we change the conversation to Summer Masikewich’s big performance from that same afternoon for the University of Saskatchewan – which also happens to be named the Huskies, and had also just advanced to the semi-finals at the 2019 U Sports Women’s National Basketball Championships after defeating Acadia University. Summer scored a game-high 25 points but she’s not sure how many rebounds she just pulled down, she hasn’t looked at the stat sheet yet (she finished with 8 rebounds and was named player of the game). Summer is Brynn’s older sister by almost two-and-a-half years and is in her third season with Saskatchewan. 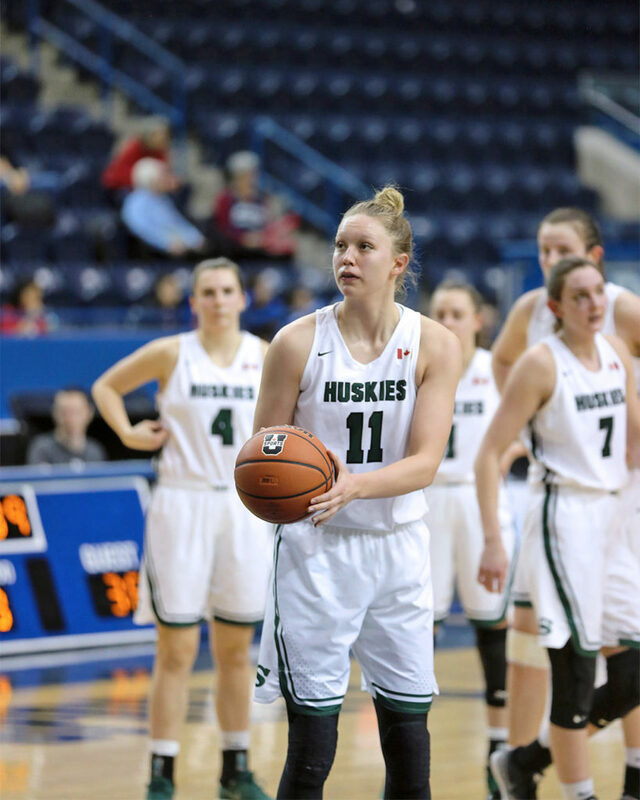 The six-foot-one forward won her first Canada West title this year with the Huskies in a season where she was awarded Canada West Defensive Player of the Year and named to Second-Team All-Star for the second straight season. 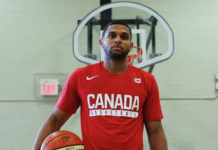 Last spring, Summer represented Canada at the 2018 Commonwealth Games in Australia. Brynn, who stands at six-foot-three, is wrapping up her high school career with the Hamilton-based elite prep basketball program Lincoln Prep, where she won the OSBA Championship last year and recently earned her second straight First-Team All-Star honours. Like Summer, Brynn also represented the country in the offseason playing in the FIBA U17 Women’s Basketball World Cup in Belarus, and when this September rolls around, she’ll be donning blue and gold as she suits up for UCLA. By thousands of kilometres worth of a chance, the Masikewich sisters just played in some of the biggest games of their lives at the same time, and in the same building. Summer and Brynn are the next generation of a Masikewich basketball family. Their mother, Shantal, played at the University of Lethbridge while their father, Brian, played at the University of Calgary. 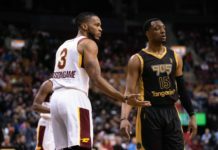 Both parents, who are now teachers, were post-players (Shantal is six-foot-two, Brian is six-foot-nine) and naturally had a big basketball influence on the sisters early in their childhood as both their coaches and supporters. Summer and Brynn often found themselves in gyms alongside their parents whether is was to watch them play in their men’s and women’s leagues, or to sit on the bench with their father as he coached his school’s boys basketball team. Brynn and Summer Masikewich both played for the Junior Dinos and Team Alberta. Photos courtesy of Summer Masikewich. 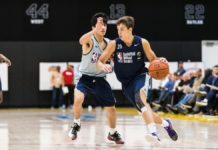 By around the age of six Summer started playing in the Calgary Minor Basketball Association as she was still trying out different sports, including swimming, baseball and volleyball, but found that basketball was what stuck with her. Brynn can remember starting at a slightly earlier age than when Summer did, but it was more so to be like her big sister as she always followed Summer and her parents to practices. Both sisters were homeschooled until Summer completed grade six, so when the opportunity came for her to play on the school team and play club basketball the following year, it was something that she found herself gravitating towards. Playing at tournaments, the competitive aspects – it was all a first-time experience that she eagerly embraced. When Summer was in grade nine, her school allowed the younger Brynn to play up to her sister’s grade, and that was the first time the two sisters played together. It was also about the same time when Brynn started taking basketball more serious. In a city where hockey and rodeo tops the list of activities more popular than basketball, the Masikewich sisters found their basketball inspiration from watching university players at Calgary Dinos games. Additionally, Summer and Brynn also drew inspiration in closer proximity from players not much older who played provincial basketball. “Once we started playing [on Team Alberta], you know, U15, you can look up to those U17 girls and see that’s where you can get to,” Summer said. 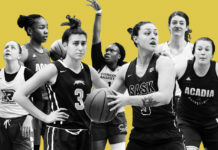 As the sisters grew older, the basketball system propelled them to more advanced development opportunities, including Team Alberta and then Canada Basketball. 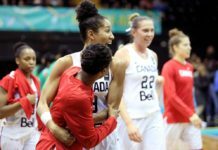 Summer’s first experience representing the nation was in 2016 competing for the Junior women’s team, where Canada won silver in the FIBA U18 Americas in Valdivia, Chile. 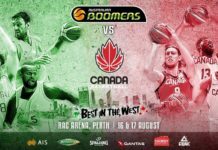 And Brynn’s Team Canada debut was in 2017 as a member of the Cadette National Team where she played in the FIBA U16 Americas in Buenos Aires, Argentina, where she also won a silver medal. Summer and Brynn would later go on to also compete in the FIBA World Cup, for their U19 and U17 national teams, respectively. Brynn Masikewich will play for the UCLA Bruins starting in the 2019-20 season. Eventually, while Summer stayed closer to home by choosing to continue her academic and basketball career at the University of Saskatchewan in Saskatoon (it’s about a 6.5 hour drive from Calgary), Brynn made the decision to finish her last two years of high school at Lincoln Prep in Hamilton, Ontario (a roughly 3.5 hour flight), leaving her home and St. Francis High School where Summer had graduated years earlier. The decision was not easy. As hard as the choice was, it was ultimately the right one and one that has paid off. The move allowed Brynn, who expressed an early interest in playing university basketball in the NCAA, to compete in much longer seasons while developing in an everyday training environment – an opportunity the Masikewich’s felt Brynn was missing and would benefit more from. If you draw a heat map of where Summer is most effective on the court, you’ll see a lot of red and orange around the post, elbow and a number of midrange spots. As much as she’s able to dominate against defenders in post-up situations, what is making her more dangerous as she approaches two more years of U Sports eligibility is the development of her face-to-the-basket game. 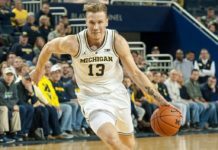 On the afternoon where Summer helped the Huskies advance to the semi-finals, you can see how much the multifaceted aspect of her game gives opposing teams so much trouble. Front her in the post and have the weak-side defence help? She gets off a left-handed floater that’s quick yet soft enough for a bank off the glass. Step out in the high-post too much and she will power through down the lane. Give yourself enough space to contain that drive? She will get you with her jumper. 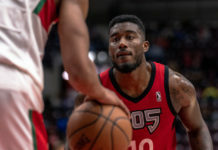 During the regular season, Summer averaged 13.4 points and 8.2 rebounds per game while breaking into a few 20-plus point performances, including a season-best 26-and-12 night in a win against none other than the Calgary Dinos on November 9th. Throughout the Canada West playoffs and U Sports National Championships, Summer turned her game up another notch, bumping up her production to 18.3 points and 11.3 rebounds per game. If you were to have run down one floor to the gym below to catch Brynn’s game (a strategy Shantal and Brian had deployed in order to watch both of their daughters play), you would have seen a different style of play on display. In one sequence, the high school senior grabs a defensive rebound and sprints to the other end as her teammate Makayla Ennis dribbles the ball out into transition. But instead of positioning herself inside the post as the biggest player on the floor, she trails behind for a catch-and-shoot three-pointer, sinking it with ease. In another possession, the defender closes out Brynn on the perimeter and she explodes to the basket, adding a euro-step around the help-defence for the layup. 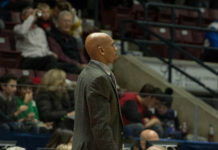 Andrew Baillie, who was Brynn’s head coach for Lincoln Prep when the team won the OSBA Championship in 2018 and is now the assistant coach for McMaster University’s women’s basketball program, attributes Brynn’s success on the court to those very aspects she displayed against Bill Crothers Secondary School. 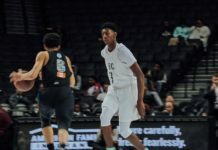 Her size and mobility, he pointed out, tied along with a great skillset in ball-handling and shooting is a unique combination that gives her that advantage of playing on the perimeter. 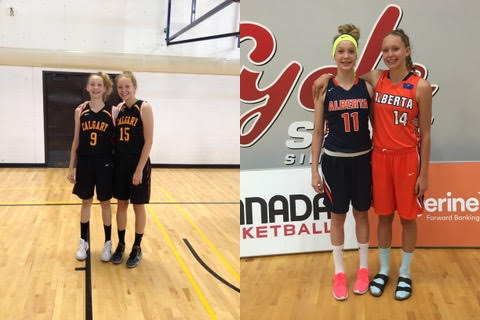 So how did two sisters from western Canada get to this point in their basketball journeys? For one, in Baillie’s words, “you can’t fool around with genetics.” But in a more measurable sense, Baillie believes both Summer and Brynn had a very good foundation to build off of before both sisters left their home to dedicate themselves to the sport. Shawnee Harle, former Canada Basketball assistant coach and former head coach of University of Calgary women’s basketball. When they were still playing club basketball at a young age and going to Dinos games, Shawnee Harle had become instrumental in developing the upcoming generation of women’s basketball in Calgary. 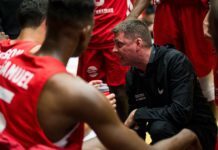 Harle was then the head coach of the University of Calgary’s women’s basketball team and an assistant coach for Team Canada, and had ran a number of introductory-level basketball camps and clinics where both Summer and Brynn participated in. But it wasn’t until they made it to Harle’s Fall Academy for more advanced training that the two sisters started to separate themselves. As the sisters continued to grow and the training got more serious, Harle also dedicated time to work one-on-one with Summer and Brynn where it would be just the three of them in the gym. Knowing that the two siblings had post-secondary and even Canada Basketball aspirations, her technical focus in training the sisters were first, to make them great shooters – and so the fundamentals of shooting became a focus in every training session. As the relationship between Harle and the sisters grew, Summer and Brynn found not only a coach but a mentor in someone who was supportive of them on and off the court. 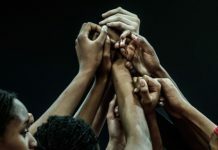 The two-time Olympian coach was someone who had been there and understood not just the technical, but more importantly the mental aspects of the game. To Shantal, it was the key to her daughters’ development. When Harle thinks about Summer and Brynn, it’s not hard for her to remember why she felt the two siblings were special. 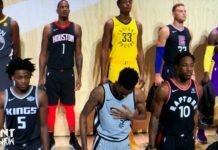 In a time where there are so many things going on in athletes’ lives, she noted, there are a lot of other things young players can do instead of getting themselves in the gym and work on their game. 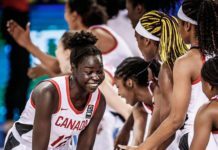 As the two sisters now continue their basketball journeys with professional playing aspirations, their stories are perhaps an unfolding tale of how two young girls can grow up in Canada and work towards their basketball dreams in the best possible ways. 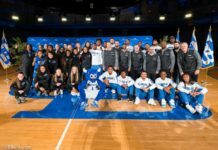 Summer will continue to make big strides with one of the top women’s basketball programs in the country under Canada’s Olympic head coach, and the world remains wide open for Brynn as she starts her university career at UCLA this fall. Now with nearly 3,000 kilometres separating Summer and Brynn for the better part of the year, it’s hard for either sister to watch the other play live. As far as the two can remember, cheering each other on in-person is a rarity with the exception of when Brynn flew to Regina to watch her sister compete in the 2018 U Sports National Championships. We end off by debating who would win in a one-on-one game, and there seems to be some confusion between the two sisters. Summer answers first and says she would win, but Brynn brings up that the last time they played she had won. Summer doesn’t agree with this particular memory, and at this point it’s hard to keep track of what each sibling is saying. Then I learn that it’s actually been three years since their last match, so I remind the older sister that a lot has changed since then. Like, for example, Brynn just hit a game-winning shot. “And I just dropped 25 points,” Summer answered.